All Grain Saison homebrew recipe. 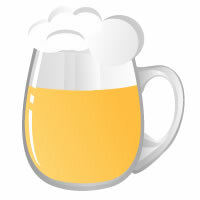 This homebrew recipe uses the following ingredients: Pilsner - DE, Cane Sugar - US, White Wheat - US, Columbus Hops, Cascade Hops, Amarillo Hops, Wyeast Belgian Saison 3724 Homebrew Yeast, Irish Moss. This recipe was cloned from Tank 7 clone.